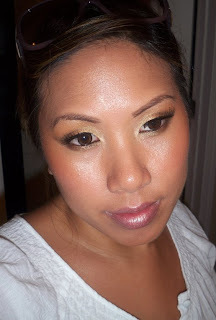 Yesterday I headed to MAC to check out the release of the new Colour Craft collection. I actually filmed and edited my haul video last night but my BF fell asleep before putting music on it :( Needless to say, it's not up right now, lol. I'll try to load it this afternoon. Meanwhile, I wanted to show you some pics and swatches. First off, this collection was huge! 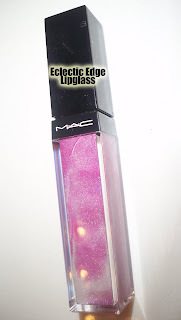 MAC really went Mineralize Makeup happy on this one. I spent more on this than I've spent on MAC for a while. Let's start off with the MSFs. They had two kinds to choose from: the regular msfs and a striped Mineralize trio. From the regular kind I picked up two of the three. 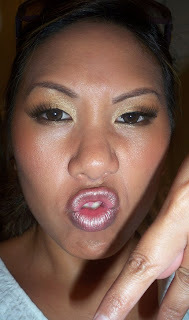 The one I didn't get, Sunny By Nature, was a random tan shade that looked kind of blah. The first one I actually picked up was Porcelain Pink. This is a very pale pink that would like great as a subtle pink highlight. It's not as chunky as some of my other pink MSFs (light flush). 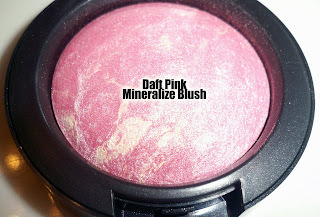 In terms of wearing it as a blush though, it would probably only work on very fair skin tones. This isn't really a must-have, but I wanted it for collection purposes. 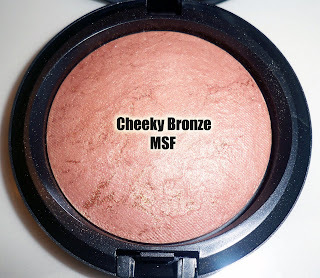 I also picked up Cheeky Bronze MSF. This one I really like! It has a peachy pink sheeen to it. 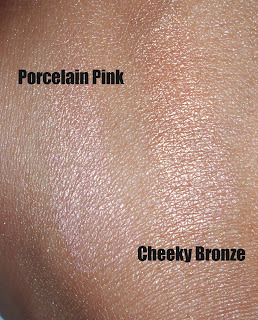 It's a bit more pigmented than Porcelain Pink, especially on tanner skin tones. 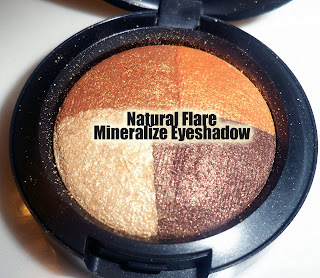 This would make a gorgeous highlight to give that shimmer skin look. You could probably rock this as a blush only if you're on the fair side. 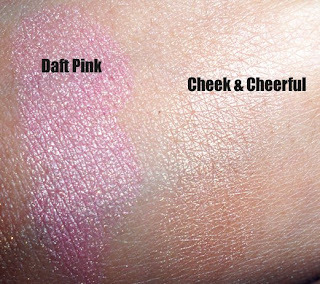 Here are swatches of the two. 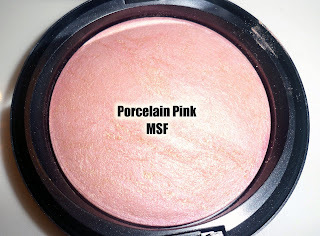 You can see Porcelain Pink is more of a super light baby pink...better for lighter skin tones in IMO. Cheeky Bronze could possibly work as a blush for lighter skin tones but I'd use it as a pretty highlighter on tanner tones. The peach in it really warms up the skin. I only picked up one of the three MSF trios. The two other consisted of dupeable shades in my opinion - Triple Fusion (Golden Peachy) and Smooth Merge (dupeable pink). The only one I picked up was Warm Blend. This chocolate concoction really stood out to me. I don't usually see MSFs this dark. Finally a great MSF for women of color! You can use it as a bronzer, highlighter, blush, or contour color. I'd also use this for eyeshadow. I definitely recommend this one especially for tan to dark skin tones. Moving on to the Mineralize Eyeshadows. The formula is pretty pigmented this time around. The shadows come in quads this time, which is actually a pretty good deal for the money. 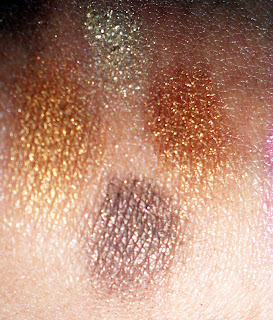 Unfortunately, Mineralize Eyeshadows tend to sit neglected in my collection. Only one of the six really stood out to me and that was Natural Flare. This is probably the one I would actually use the most. Some of the other quads seemed to have random color combos and some applied ashy. If you're selling something in a quad, I'm picky about making sure the colors really go together. The coppery gold shades in this quad are perfect all year round, especially for women that love the earth tone bronzey makeup look. I wore these in my haul video which will be uploaded later today. To be honest, I'm more of a matte eyeshadow girl and I tend to stray from super shimmer shadows like these but I could actually see myself wearing this one on the regular. The only thing is that I would probably use a more subtle highlighter next time because the champagne tone in the quad was a bit too glittery. You need a little bit of balance in a look between finishes. If you pick up any of the eyeshadow quads, I would recommend this one. Out of the six lipsticks, I picked out only one. 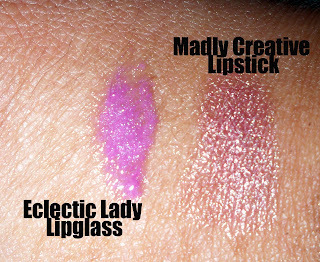 Madly Creative seemed like the most unique shade. This collection featured more frosts...a departure from the lusters in many of the past collections. If you like pink lips, this is a good one for you. 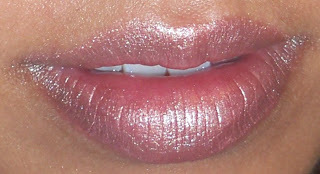 It's not overly frosty...the sheen almost makes you look like you're wearing a gloss, minus the stickiness. The rest of the colors were so so...no must haves. I only picked up one of the Marbelized lipglasses. I really hate this square packaging because it makes it too difficult to get enough product on the wand. However, I did pick up one...a very pretty pink purple tone. I couldn't resist it after I applied it to my hand. 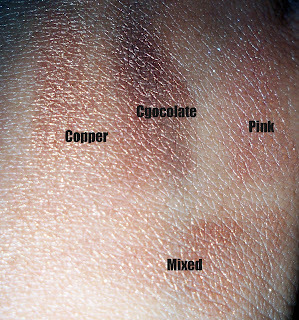 Beware though, the colors swatch really pretty but they are very sheer (like the ones released in the Sugar Sweet collection). You'd have to wear a coordinating lipstick/lipliner underneath for the pigmentation to show. I picked up two of the six Minearlize Blushes. Some of these swatched super frosty so tan to dark skin tones need to be aware because it might come across ashy. I picked up Daft Pink because it swatched a really pretty bright pink. I'd probably pair it with a matte color blush to tone it down a little. 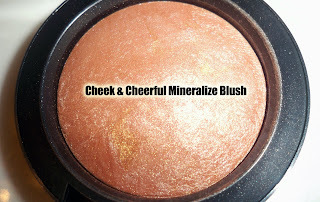 Cheek & Cheerful blush is an amazing highlighter for my skin tone...it doesn't swatch nearly as frosty as the rest. Lastly, we have the brushes. This collection also had the 109 in it, which is a great brush, but it's permanent so we skipped that one. I was really excited about getting the 226 again. This was released in the Blond, Brunette, Redhead collection and I had to pick up two more for my kit. This is a must have brush for small eyelids or if you want a defined crease...pick it up before it sells out! The other brush is a newbie...the 131. It's a Duo Stippling brush more flat than the 187 or 188. 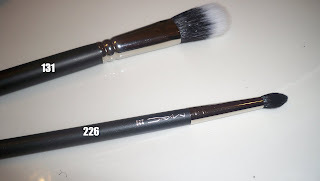 It makes an awesome contour/highlighting brush. Since it's more flat and dense than the 187/188, it doesn't splay as much on the skin so you can concentrate the color only where you need it. It's awesome for contouring...the mixed bristles prevent you from getting that annoying dark streak in the contours of the cheek because it allows you to blend better. I would definitely recommend both these brushes. Here I am wearing all products from this collection minus foundation, brows, lashes and liner. The look in person was super glittery and frosty lol. Try to mix and match these products with other finishes to prevent looking like a disco ball. All products MAC unless otherwise mentioned. Cute look! I also picked up madly creative and I love how it looks like you're wearing gloss. Might have to get a back up. i am running to get the warm blend msf. gorgeous ate! i really wanna pick up those brushes asap! oh i need to check this out!thanks! 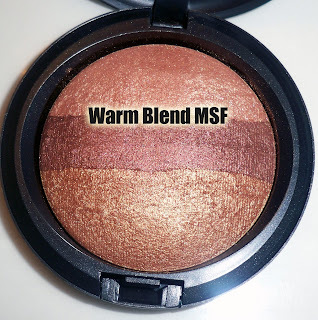 wow that warm blend msf looks quiet pigmented i thought they were eyeshadows. they're nice and i'm looking forward to trying them out. I love your haul. =) If i could, I'd get the same stuff as you! My Skincare Consultation with Jan Marini! Birthday Recap - Pics and Makeup Looks!